I'm loving the thunderstorm we had last night. It was pretty big and had some long lightening flashes and loud thinder cracks. Too bad it brought some cooler weather with it... oh well, I guess high 60's aren't too bad. I'm loving how well Hines Ward is doing on Dancing With The Stars! I'm also a big fan of Kirsty Alley, but Hines is my man. I mean, I wear his jersey every Sunday for about half of the year... clearly I'm voting for him to win the mirror ball! I'm loving how challenging my job is this month. I haven't been challenged intellectually in a pretty long time. Okay, so I'm only sorta loving it... I'm also sorta hating it! I'm loving that we're BBQing turkey burgers again this week. Yum! I'm loving that my mother-in-law flew in last night to visit us for the 1st time. She's staying for a week and I'm so happy to have her company! And yes, I'm one of those rare daughter-in-laws who actually likes their mother-in-law and who encourages my husband to call her and whatnot. Here's the deal: she created and raised my husband to be the man whom I fell in love with. Whom I am in love with. How could I not like her? With that being said, I'm loving that I'll be out of town this weekend and Bryan and his mom will get some great quality time together, of which will include a mother/son Mother's Day brunch! I'm loving that I'm going to NYC on Saturday and am looking forward to getting my eyes on Ground Zero now that Osama is gone -- I went to Ground Zero shortly after 9/11 and several times since, but I'm hoping to take away something different with this visit. Can't wait to feel the outward pride for America that is still flowing through everyone's veins in that great city! Now go link up with Katie and let us know what you're loving! Love thunderstorms as well! I've never been to NYC but I'd love to go see Ground Zero to pay respects. I'm sure it'll bring a new light on your visit on Saturday with Osama gone. Going to Ground Zero again should be incredible. I also love turkey burgers! Love your site. I like Hines too! Have a good time in New York. ahhh you love thunderstorms? you can have ALL of the ones I am destined to see in my future. They scare the ba-jeezuses out of me! I love that you enjoy having your mother-in-law around! I absolutely adored my ex's mom. Well ok, I still do. Can't wait to hear all about your NYC trip! Have fun in NYC this weekend! There is something great about thunder and lightning! ..I WISH it were 60 here! It's been 40s and 50s.. blah! Thunderstorms, Turkey burgers, and insanely awesome MIL, I'm completely jealous! 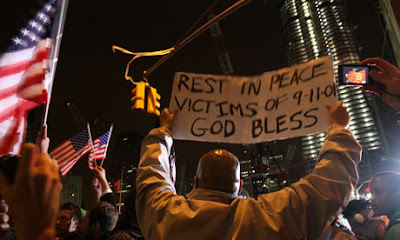 I hope you have a fantastic time in NYC, I would love to visit ground zero someday. What a fantastic Wednesday! was just blog hopping and had to say, this blog is super cute, and you are very pretty too missy! have so much fun in NYC, it will be amazing to see Ground Zero- how powerful. Hey! Stopping by from WILW:) Love NYC! Have fun! LOVE BBQ turkey burgers!!! they are delicious :) way better than hamburgers. So jealous you are going to NYC, I love that place. I keep tell Tony we have to go there. He has never been.